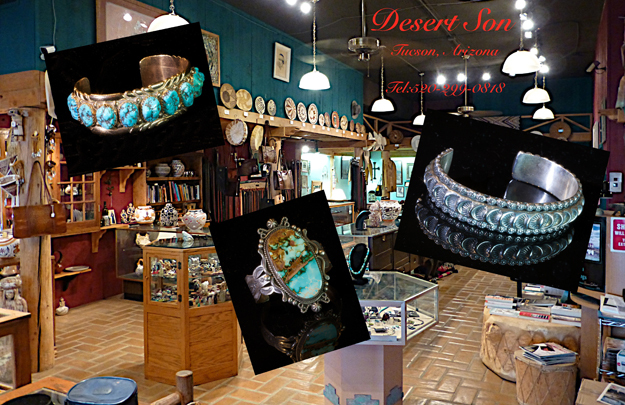 Desert Son Indian Art was founded 45 years ago. The principle effort was supplying traditional southwest moccasins to the Reservation Trading Posts and Pueblos. Through this endeavor our relationships with many traders and Indian artists were galvanized and bear fruit to this day, in the form of high quality arts, crafts and goods. Our moccasins are still sold primarily to the northern Tribal areas of New Mexico and Arizona. Contact us for a custom moccasin fitted to your specifications by our in-house bootmakers. Desert Son offers custom moccasins crafted in cowhide, deerskin, and buffalo. Known over the years as ‘kaibabs’ or ‘Pueblos’; there are at least 8 styles from which to choose. We have the largest selection of silver buckles in the Southwest. Some people bring their own buckle to be fitted on site to one of the custom handmade belts from our large variety of sizes and styles. 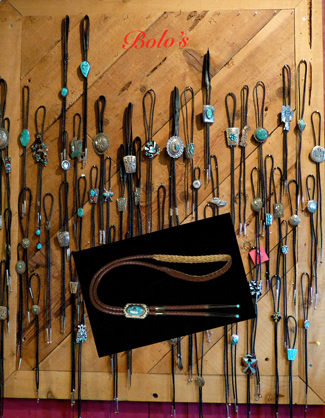 We also have a large selection of concho belts. Turquoise has become rare as mines have closed. We strive to maintain an inventory of highly prized stones in our jewelry. You are invited to become a possessor of luck and beauty! Our gallery offers a quality array of silver and gold jewelry, Navajo rugs, Zuni fetishes, Pueblo pottery, Hopi kachina dolls, and basketry. Entering the spacious gallery, traditional and contemporary bracelets, necklaces, earrings, and rings of silver, turquoise, gold and jewels set amidst objects d’art present themselves to new and returning customers from around the world and all over America. This good fortune has allowed our company to continuously procure new creations to share with our supporters. ©2018 Desert Son, Inc. All rights reserved.